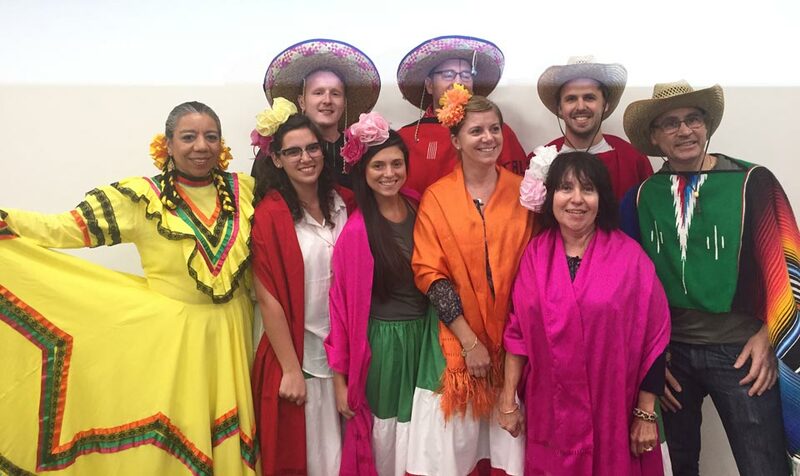 In celebration of Hispanic Heritage Month (Sept. 15 to Oct. 15), students in Spanish and Methods in the Teaching of Foreign Languages and ILC teaching assistants, attended the St. Louis Public Library event, We Are St. Louis: Mexican Heritage on Sept. 21. The main speaker, Daniel Gonzales, preservation historian for St. Louis County Parks and Recreation, spoke about the history of the Mexican community in St. Louis. Also, the attendees enjoyed Mexican folk dances led by Eileen Wolfington and sampled Mexican cuisine.